If you're like me, and, let's be honest, the majority of the population, you spend a lot of time on your phone or tablet. I happen to own an iPhone and and iPad and love downloading new apps to try. Here are a few of my (and my husband's!) 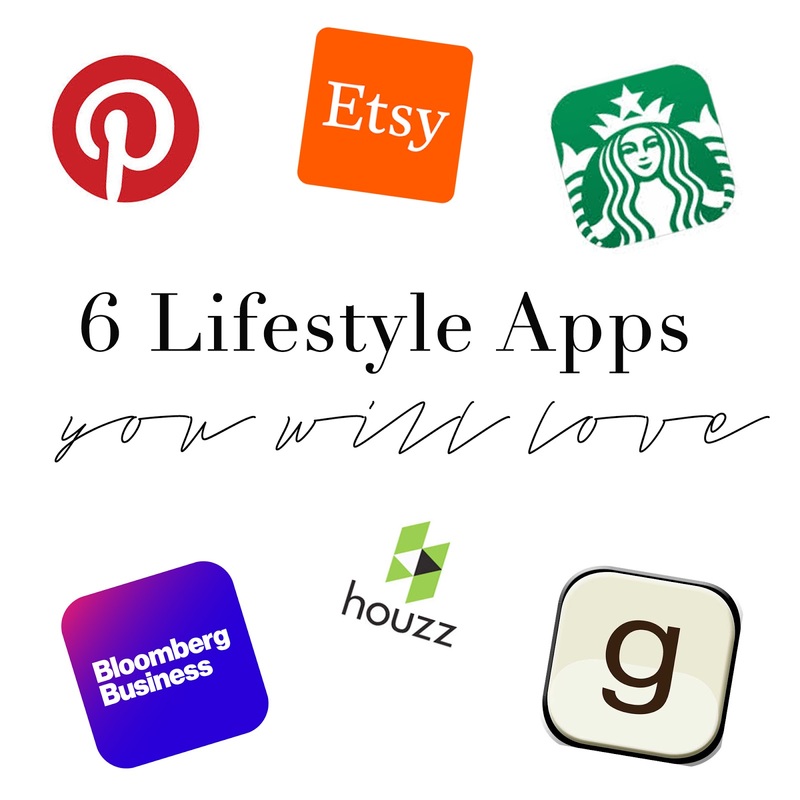 favorite lifestyle apps. Pinterest: An obvious pick, Pinterest is the best app to browse anything and everything. Sure, it allows you to plan parties and decorate your house, but you can also daydream about your next travel destination or find some neat little DIYs. All you need is time. Ha! Etsy: I love browsing Easy for unique gift ideas or artwork and furniture for our home. Starbucks: Because really, it is a lifestyle. I love that I can keep track of my Starbucks card and stars on there. Did you know rewards expire after one month? You're welcome. Bloomberg Business: I asked my husband what his favorite lifestyle app was and this is it. I am a bit of a stock market geek myself so I figured I would include it. It's always good to keep an eye on the economy, ya know? Houzz: This is the perfect app for home design and decor inspiration. Need I say more? I still haven't found a recipes app I like: any suggestions?